Universal Music Group is significantly expanding in Western Africa, launching a new office under the Universal Music Nigeria brand in Lagos. Universal Music Nigeria will be led by Ezegozie Eze Jr., who has been appointed as General Manager of the UMG subsidiary. Eze and his team will support artists from Nigeria, Ghana, and Gambia throughout the continent and beyond. The exec has previously held roles at Channel O Television, Empire Mates Entertainment (Banky W & WizKid) and was a founder of Pan-African creative companies, Republic 54, Alore Group, and Duma Collective, brings vital experience in the Nigerian music market. 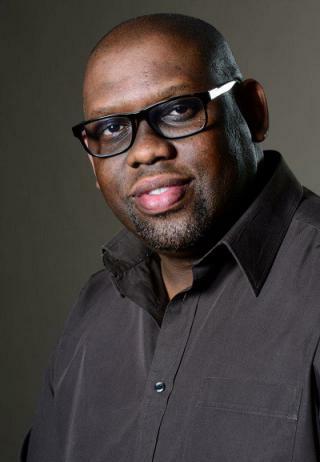 Eze (pictured) will report to Sipho Dlamini, MD, Universal Music South Africa and Sub-Saharan Africa. The news of Universal Music Nigeria’s arrival comes less than a week after Universal announced an expansion in French-speaking Africa, led by a new Universal Music Africa (UMA) office in Abidjan (Côte d’Ivoire). Universal Music Nigeria has has already signed Nigerian-born artists including WurlD, Odunsi (the Engine), Tay Iwar, and Ghanaian-born artists Cina Soul and Stonebwoy. In addition, the label has inked a deal with acclaimed Banku singer/songwriter Mr Eazi for pan-African releases. It has also co-signed Nigerian artist Tekno in conjunction with Island Records UK and Tanzanian singer and songwriter Vanessa Mdee in conjunction with AfroForce1 Records/Universal Music Central Europe/Universal Music South Africa. These two signings mark the first time UMG labels from the two continents have combined to sign and release African artists globally. Dlamini said, “In recent years there has been an increase in visibility of Nigerian and Ghanaian music and its influence on contemporary music around the world. Universal Music Nigeria will work in partnership with UMG operations throughout the continent including Cote D’Ivoire, Morocco and alongside key markets across English-speaking Africa. Universal Music Group operates two successful live music companies within Africa, both of which will also have divisions within Universal Music Nigeria. Launched in 2017 in Johannesburg, UMG Live Africa has quickly become one of the leading talent booking agencies within the continent. Its roster of artists is made up of both UMG talent and non-UMG signed artists who were responsible for more than 600 performances throughout 2017. Meanwhile, ULive Africa was founded in 2016 and is engaged in staging, producing, programming and hosting large-scale live concerts and events throughout Africa including Runway Jazz, the inaugural African Comedy Awards, Lekki Sunsplash (30 th Anniversary Edition), The Music Industry Awards in Nigeria, Afrochella and Baskets & Wine in Ghana, and Cocktails in the Wild in Uganda and Nigeria, with several other projects in the pipeline.